Priyanka Chaturvedi said the women of the country looked up to Sushma, but it was sad that she had remained silent over the charges against Akbar. 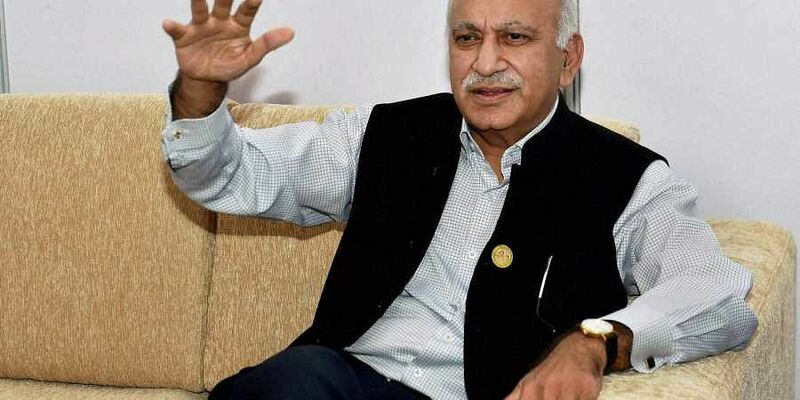 NEW DELHI: The Congress on Wednesday demanded the resignation of Minister of State for External Affairs M J Akbar who has faced several allegations of sexual harassment and misconduct as part of the ongoing #MeToo campaign.“M J Akbar has a stature as a veteran journalist, besides being the Minister of State for External Affairs. He should offer satisfactory explanation or resign,” Congress spokesperson Jaipal Reddy said. He also slammed External Affairs Minister Sushma Swaraj for remaining silent over the issue. “Senior journalists have made allegations against Akbar, but Sushma Swaraj is evading response. We demand an inquiry into the issue,” Reddy said. Another Congress spokesperson Priyanka Chaturvedi said the women of the country looked up to Sushma, but it was sad that she had remained silent over the charges against Akbar. “These are not anonymous women, they have done good work as journalists,” she said. Chaturvedi slammed the PM for talking about women empowerment in his speeches, but going silent when charges of sexual exploitation surfaced against his party leaders. She also condemned the statement of BJP MP Udit Raj saying that some women were making such allegations for money. “This shows the anti-women mindset of the BJP,” said Chaturvedi.